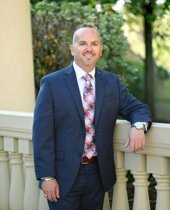 Since his move to Myrtle Beach in 2005, Adam Brown has had many years of building successful client relationships. As a consistant top producer in the automotive industry, Adam's impressive portfolio of completed transactions demonstrates that he is well-versed and experienced in client trusted relationships. Having resided in Myrtle Beach for the past 13 years, Adam is very knowledgeable of the Grand Stand and surrounding areas. He considers Myrtle Beach to be one of the best places to live on the east coast, and hopes you will have those same feelings that will inspire you to make the move as he did. Whether relocating from out of state, or simply making the move across town, Adam would like to welcome you home.